A lot of people who step into our office initially struggle with maintaining a healthy diet. This isn’t an indictment on them as a person; it’s hard to eat clean while living in America. Everywhere you go there are sugar-laced diet traps. In some cases, all it takes is looking at a Krispy Kreme to add a pound or two (and they only weigh 6 oz.)! And while I might make light of lapses in dietary discretion, the consequences of eating poorly can be heavy. Some people have incredible will-power. They can go months and months eating kale and crickets. But a lot of us could use some help. And that’s why I wanted to tell you about the amazing benefits of chromium. Carbs aren’t the enemy, but they’re not your friend either if you’re trying to flush out flab. That’s where chromium can help. Chromium’s an essential trace mineral all of us need in order to operate at peak health. As you might suspect, a lot of people don’t get enough chromium in their diet. A lot of this has to do with our reliance on foods found in the Standard American Diet (SAD). These foods, which have often been artificially produced and are highly refined, are typically lacking in some of the rarer minerals needed for good health. Chromium is believed to be one of the minerals we all lose out on when we eat the way we’re not supposed to. The reason any of this is important is because chromium has been observed to affect our insulin (blood sugar) levels in a positive way. That’s why doctors practicing integrative medicine are growing excited about the use of chromium by individuals who struggle with constant carb cravings. Let me show you how this works at the chemical level, and it’ll make sense why anyone who shows little control around carbs might benefit from taking it. Most of you are likely familiar with how eating sugar (carbs of any kind) affects blood sugar. When you eat a carbohydrate (simple or complex, it doesn’t matter) and your body begins to break it down, it’s turned into sugar. If you eat a lot of carbs at once, the amount of sugar entering the bloodstream is high. If you didn’t eat that many carbs, blood sugar levels are low. Every time sugar enters the blood, a hormone called insulin rises. The more sugar there is in your bloodstream, the higher your insulin levels go. As you might suspect, high levels of insulin are bad news for good health. Oftentimes, continually high levels of insulin result in all kinds of diseases as well as weight gain. And not only do high insulin levels create these kinds of problems, but they’re the primary reason you experience carb cravings in the first place! 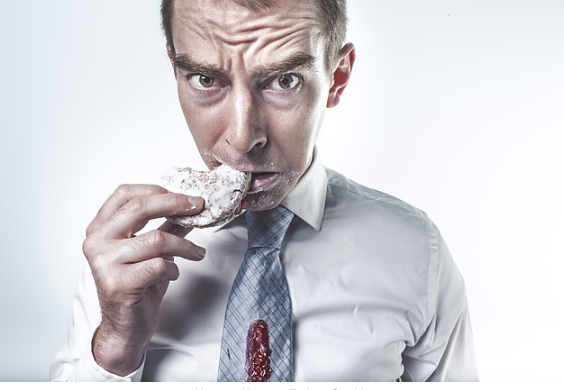 Naturally, if you could get some help keeping your insulin levels in check, then those cravings might lessen, right? Well, that’s exactly what the research on chromium says it does! “In one study, blood sugar responses to a carbohydrate meal of white bread were measured with and without a single dose (400 micrograms) of chromium. Another study, showed chromium was able to positively affect insulin levels when given to the test subjects. In this study, the participants were followed for four months. During that time they were given either a placebo or a chromium supplement in addition to their normal meds. For those who took the placebo, nothing about their insulin levels or their cholesterol levels changed. Those taking the chromium saw both levels fall. I like chromium, that’s all there is to it. We recommend it mainly for blood sugar control, but since it’s an essential trace mineral it can also help out with other health issues. May help keep cholesterol levels healthy: As you saw in the study above, diabetics taking chromium saw their cholesterol levels fall. Specific tests regarding chromium supplementation have also shown that it could help lower cholesterol levels. May help protect the brain: When insulin levels are under control, it can lead to a healthier brain. However, that’s not the only way it can likely help. Research has also shown that chromium may even affect the hypothalamus (center of the brain linking nervous system to the endocrine system) positively, and that it can even help protect it from signs of aging. May help boost energy levels: When insulin spikes and subsequently plunges, it can lead to severe fatigue. This is the sugar rush and crash you’ve likely experienced after eating tons of carbs. Chromium’s balancing effect on insulin levels can help you feel more energized; it can also keep your metabolism running correctly. May help you lose weight: Chromium (chromium picolinate) has gained evidentiary support that it can help prevent weight gain. As you also likely figured out, if blood sugar levels are under control and insulin levels are balanced, then cravings for unhealthy foods associated with weight gain are likely to lessen. The less unhealthy and fattening foods you eat, the more likely you are to lose weight. Chromium is tough to find in natural foods, though; that’s why you either have to eat a super clean diet (with a majority of it including veggies) or supplement with chromium to get the right amounts. Because it’s so hard to get it from diet alone, I recommend NOW foods Tri-Chromium. This blend contains three different types of chromium, each with unique health benefits. It also contains cinnamon extract in it, which has been shown to help control blood sugar. To get it, click here or on the image below.